Product development and design are essential for ensuring that you can actually produce and sell the products you make. Oftentimes, products are designed and produced in a way to maximize quality. In order to achieve that, tight tolerances are focused on during the development process. What exactly are tight tolerances in product development? Tolerances are variables in the design, usually concerning the dimensions of a specific product. In layman’s terms, it’s a plus or minus here and there that are allowed in product design. Tolerances influence the overall design of the products, as well as its manufacturing and quality control. In some cases, tight tolerances are absolutely necessary to ensure that the product can perform appropriately. However, strictly leveraging tight tolerances isn’t mandatory in every case. What’s more, they will only increase the production costs. Therefore, here’s how increasing design tolerance can actually cut costs. The functionality of a product determines how it will be designed and produced. In some cases, tolerances of even a single decimal can mean the difference between a functioning product and a failed one. That is only the case if product functionality depends on tight tolerances. However, materials used in the manufacturing process also play a role in determining acceptable tolerances in product design. In other words, not every part of the product needs tight tolerances, but in most cases, the entire product is based on strict requirements. For instance, a product with a certain number of components requires a tolerance of ±0.001 because there’s a specific way component must fit together. But, a separate part is also automatically specified using the same tolerances, even if the part does not interact with the others or may not need the same tolerances. That’s why it’s important to determine the functionality of the product and which component – if any – requires a tight tolerance to function. Creating a product design eventually comes down to tolerances that are numbers on paper. You may think that those tolerances are absolutely necessary, even if that’s not the case. Tolerances are influenced by the materials used in production, how they’re made during manufacturing and the sensitivity of product features to variations in design. That’s why it’s important to have an experienced manufacturer on board that can help you determine if there’s room to increase the design tolerance or not. For example, if you’re developing a design for electrical components, you should consult with an electronics manufacturer. That way, a manufacturer can go over your design and help you determine the acceptable increases intolerances to help you cut costs. Electronics are produced by the IPC (Association Connecting Electronics Industries) standards which allow certain tolerances in product design. Your manufacturer will know how to best implement those tolerances, without compromising the product’s functionality and quality. As mentioned before, product developers and designers focus on tight tolerances in order to ensure product quality. The reality is that tight tolerances do not always influence quality, but they are always expensive to implement. You need to consider these costs before insisting on tight tolerances. For example, tight tolerances require more precise tools and higher grade materials, which cost a lot more. The tighter the tolerance is, the more it will cost you. In addition, tight tolerances require more processing, which increases the costs of the machinery used and labour. Moreover, you need to pay for a close inspection to determine whether the tolerances are within the acceptable range. What’s more, if you cannot implement tight tolerances on your own, you may need to outsource the process, which will cost you more. In the end, you end up paying for precision that may not be required. That’s why it’s important to actually determine if tight tolerances are mandatory for your products. If you don’t need such tolerances, you should take the opportunity to implement more appropriate variables and greatly reduce the costs of product development. In an effort to cut costs, increasing the design tolerance is quite beneficial. However, relaxing the tolerances too much involves certain risks. For example, the product components may not fit well together if tolerances are too extreme. In addition, your customers may disapprove of increased tolerances, if you haven’t consulted with them beforehand. Also, you may need to repeat the manufacturing process and redesign your products if you’re not careful with tolerances. That will only skyrocket your costs. Instead of focusing on tight tolerances or relaxing them too much, you should focus on implementing quality assurance and tolerance analysis. That way, you’ll be able to determine exactly which variables are acceptable for your product design. In addition, you’ll know exactly where to apply strict tolerances and, of course, how much you can increase them to cut costs. Product design is important for the manufacturing and quality of the products. However, ensuring product quality doesn’t always rely on implementing strictly tight tolerances. Tight tolerances are only required when there are specific needs and functionality requirements. Other than that, you can consider relaxing the product design tolerance and save yourself a lot of money during the development process. Bitcoin was developed in 2009, which means it is not even 10 years old yet. The result of this is that financial experts are not making any statements with certainty on it yet because it is impossible to draw real conclusions in such a short period of time. This country is, in fact, one of the only ones in the world that has issued formal guidelines on cryptocurrencies as an investment class. Knowing the IRS’ view on bitcoin roth IRA’s is very important if you were hoping to invest in one. 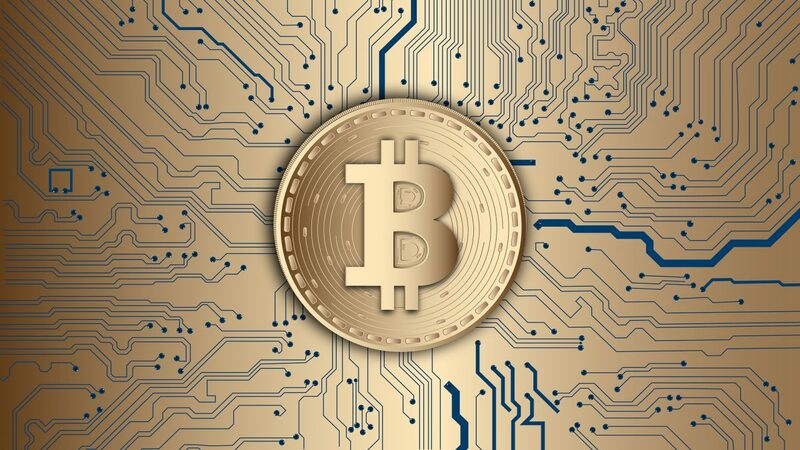 The IRS made an official statement in March 2014 outlining that dates are cryptocurrencies as a type of commodity when calculating taxation. This means it processes Bitcoin in the same way as stocks and bonds. The IRS declared that cryptocurrencies are a type of property, which means that investment in them is possible but only when overseen by a custodian so that regulations are complied with. Historic Lee, custodians would only accept mainstream assets in an IRA. This includes certificates of deposits, mutual funds, bonds, and stocks. Hence, if you do wish to invest in a cryptocurrency, you will have to choose a self-directed option. You do have the option of choosing between a traditional IRA, whereby you pay taxes on the eventual withdrawals, or a Roth IRA, where buy you pay taxes on the initial deposits. A bitcoin Roth IRA is fully self-directed. This means you decide when to buy, sell, and hold bitcoins. You can also purchase dedicated cryptocurrency fund shares. 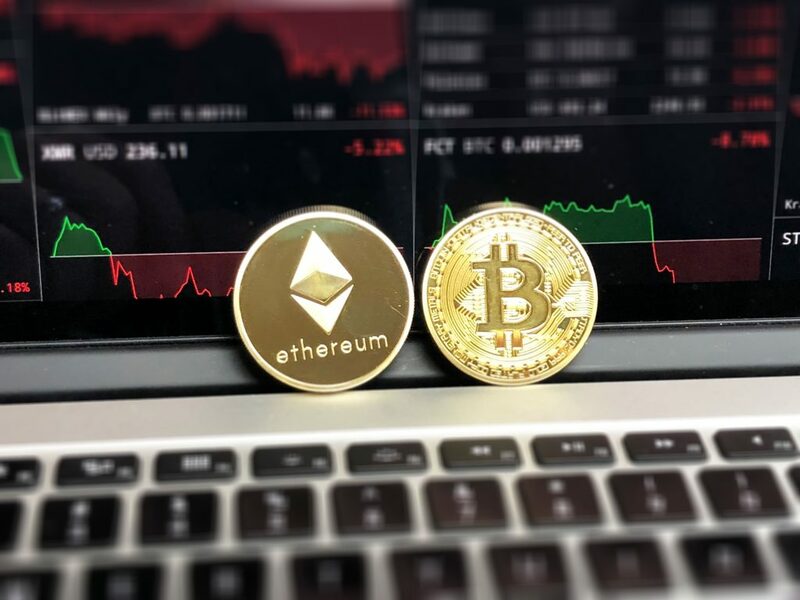 If you want to invest directly in cryptocurrency, you will effectively become a Forex Trader with the difference being that your currency is not a mainstream one. If, on the other hand, you decide to invest in fund shares, you will delegate forex knowledge to that fund instead. Hence, you need to weigh up whether you have more confidence in your own skills or whether you have more confidence in the skills of a shared fund. Again, because bitcoin is so new, it can be quite difficult to determine whether or not someone truly does have the required experience to properly invest in this currency, but then the same would go for you personally. Whatever decisions you make, you will have to open a bitcoin wallet. This is not a physical wallet but rather an application on which your digital signature, also known as private keys, are stored. Those keys are required in order for you to move coins between others on the public ledger, which is the blockchain. Those private keys are incredibly valuable because of the anonymity of the blockchain. It is impossible to determine who is accessing the chain so if you share your private key with someone else, for instance through loss or theft, they will be able to remove all your bitcoin and you will never be able to get them back. Do be careful with your private key, therefore! Your brand or company is an extension of your work ethic. Entrepreneurs all over the world toil endlessly to give birth to an idea that was formed in their minds. The Disney universe is an extension of Walt Disney’s imagination, and Ali Express came into being because of Jack Ma’s life story. When you come up with a revolutionary idea, the first thing you face is harsh criticism. We are creatures of habit, so our brain negates the ideas that move us away from our comfort zone. Once we beat this habit, something beautiful and meaningful comes into existence. As an owner of a new enterprise, you have to wear many hats at once. You may or may not be comfortable in building your personal brand, but it is crucial to start working on it. Personal branding bridges the gap between your personal and professional life. When you bring value to the business environment, people immediately start taking you seriously. Let’s take the example of the housekeeping queen that is Martha Stewart. This remarkable lady built a whole brand around her name, and until today we see Martha Stewart’s brand as a product of her creativity and hard work. There are so many things you can do the ‘Martha Stewart way.’ Be it weddings or crafts; this person created a brand around things she was insanely good at. I would rather choose a recipe from Martha Stewart’s cookbook, rather than believing in anything on the internet. Creating an experience around your brand is essential. If you are a true professional at what you do, there is a way to project that positive image that impresses people. Stewart started her lifestyle business from catering, and slowly escalated to the top by writing books about it. She is one of the most trusted lifestyle influencers in America because of her unique sense of style. Once you have kicked off with the business, work on your brand and make sure you keep your personality secure from habits or things that can tarnish the reputation of your company. It doesn’t matter if your professional venture is a few years old or a few weeks old, you have to invest in a website. Personal websites are like the internet real estate of your own brand. People visit your site to learn more about you and your work that led to the creation of a company. Successful entrepreneurs like Seth Godin are famous for their quirky blogs which work as a marketing medium for little or no cost. Don’t underestimate the potential of a personal website or blog. However, don’t do it just because the cool people are doing it. You must be invested in this affair and reach out to your audience regularly to collect feedback. For B2B causes, a personal website becomes your knight in the shining armour. People look up to you for news, professional info, and future investment opportunities. You can craft a unique digital narrative simply by crafting a website that depicts the best version of you as an entrepreneur. If you are dwelling in a saturated market, people may perceive you as just another entrepreneur. If you work hard to provide value to the audience, they may be able to distinguish between you and the rest, giving you a competitive edge. Helpful content, positive marketing strategies, sales cycle, paying attention to your customers and building a sustainable brand are all ways in which you provide value to your audience. If you are a newbie in your field, start by researching your target audience and the message, then the content and execution will flow naturally. Write more “how to’’ posts and refrain from calling out your competitors and highlighting what they are doing wrong. Whatever you do, stay humble to the core and maintain the monotony in your business messages. As an owner of a new business, if these tips seem overwhelming to you, you can always hire a Contact Manager who can do this job for you. Contact Managers help you flourish while maintaining your positive image in front of the business fraternity. A Contact Manager will also assist you in managing your PR. If you are doing good work, you shouldn’t be the only one talking about it. Other people should talk about it as well. That’s where digital PR comes in. Guest posts, leadership articles, lectures, and conferences are great platforms to spread your valuable insights to the world and get some credibility built around your business. 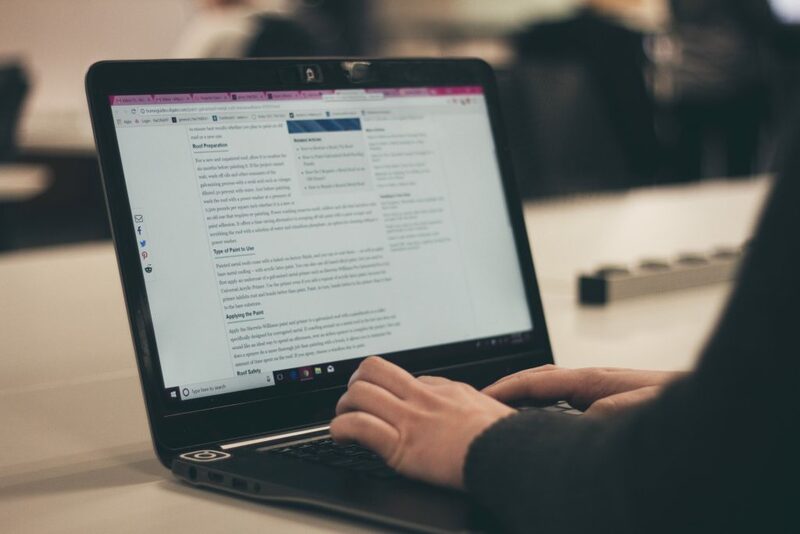 If you are a regular contributor to a publication, your author profile will rank higher than others, earning you valuable links back to your site. Regarding other mediums, you should maintain synonymity around your digital profile, and people should know about the decent things you have done in the industry. Do you have a tip to help newbie entrepreneurs on this long and tedious journey? Tell us in the comments section below. The customers’ journey is an important thing to keep track of in today’s market. Customers who are happy with their journey with your brand are more loyal – and more likely to make future purchases than those who aren’t. You also have the ability to build better relationships with the customers through a positive customer experience. Naturally, the customers’ journey doesn’t stop when they make a purchase. Offering good customer support and aftersales services is also an important thing to do. 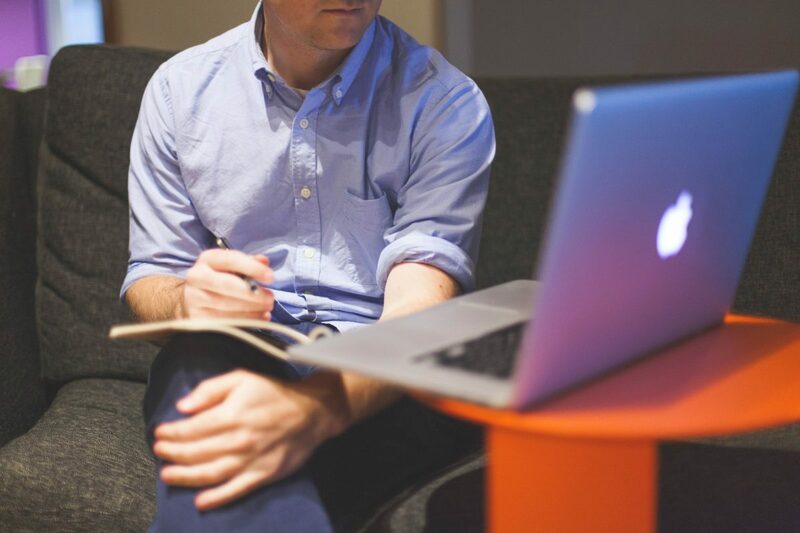 To improve customer support, here are some of the strategies you can implement right away. One of the worst things you can do when providing customer support is not keeping track of customers’ requests properly. This usually leads to the customers having to explain their issues again, which is extremely annoying for them. A simple IT solution is all you need to manage customer requests better. A help desk software is a great foundation and will lead to better – and more efficient – customer support. The help desk software then acts as a way to manage your customer support efforts. The IT industry has used help desk software to provide invaluable services to their customers. Today, other industries are using the same approach to deliver the same level of user experience across their customer base. The next challenge to tackle is employee development. You can’t expect to offer good customer support without employees who are serious about offering the best customer service. Training and development programs are how you reconfigure employees to have a more service-oriented mindset. You can start by strengthening the customer service skills of key employees. The most important skills to develop are empathy and patience, good product knowledge, the ability to mitigate customers’ complaints intelligently, and good worth ethic in general. 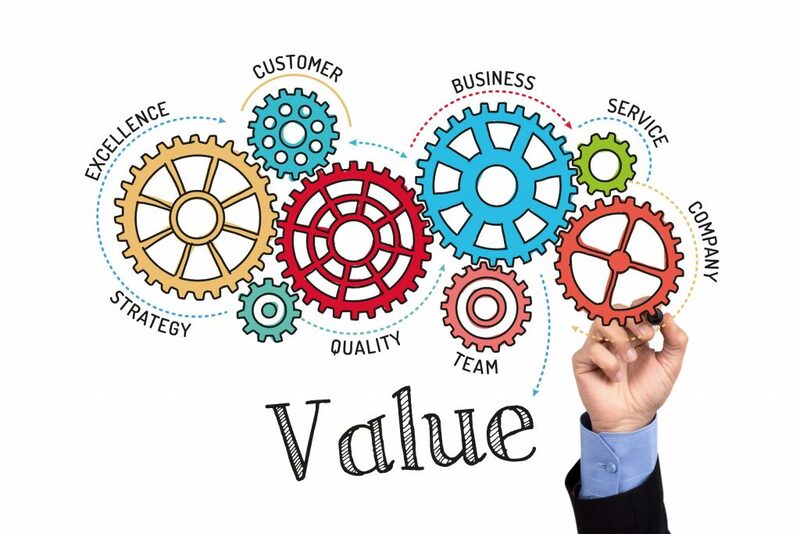 These skills can be further supported by the good understanding of customer touchpoints and how every part of the customers’ experience can be improved. Even bad customer experience is an opportunity; through good customer service, those disappointed customers can become your most loyal ambassadors. The incredible solutions you deliver are important, but how you deliver them is even more important. You want to make sure that the good aftersales experience you provide is the experience the customers see and feel too. The way to do this is by ensuring customer support is delivered in a timely and pleasant manner. 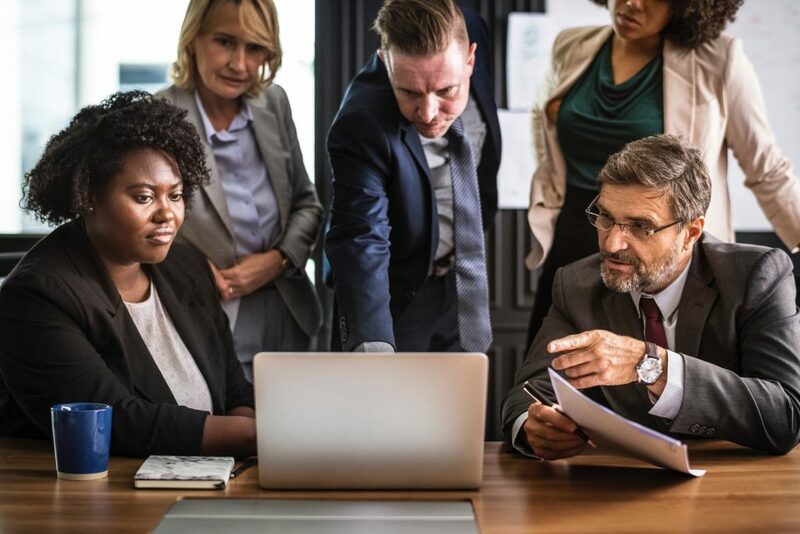 You can establish policies to allow the customer support executives or officers to do just that while staying within the boundaries of SOPs. The way executives interact with the customers’ matters too. Offer a more personalized approach, listen to what the customers really want, and don’t be afraid to admit mistakes. Admitting your mistake even before customers launch their complaints is a powerful way to ensure that the customers always have a great customer experience. Combined, these strategies will substantially improve customer support and the overall customer journey. Add sincerity to the mix, and you have the perfect recipe for offering stunning aftersales service that keeps customers coming back for more. Digital Kanban boards are taking the tech world by storm as the software helps teams to prioritise tasks and improve efficiency in the workplace. 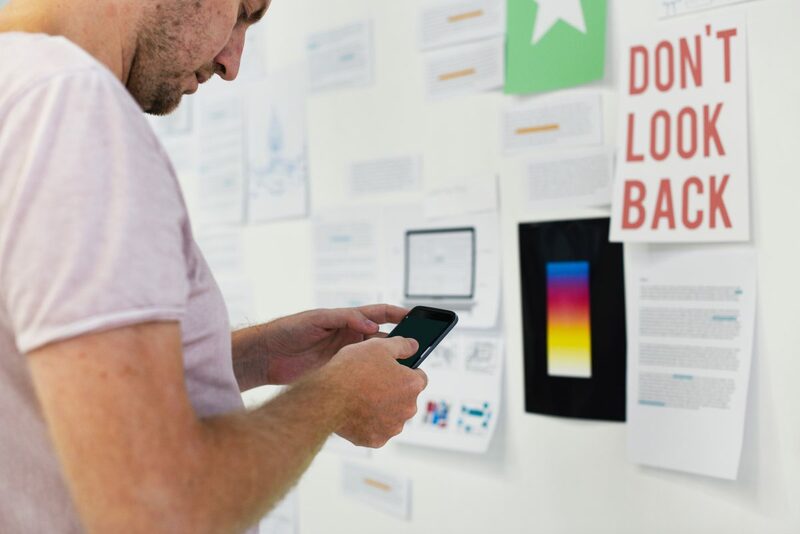 Kanban might have started off as a physical board, but the digital version of the software is becoming very popular and it is something that you should consider investing in if you want to improve how your team works. 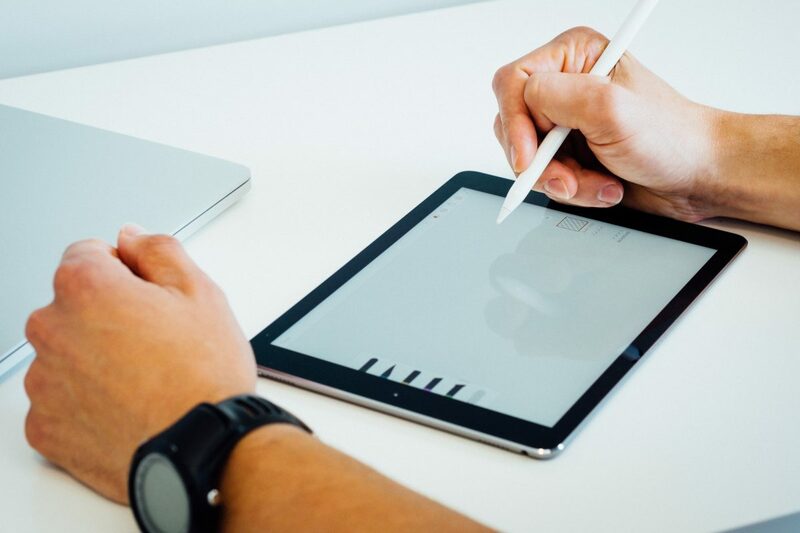 In this article, we are going to take you through some of the reasons why you should invest in a digital Kanban board and the benefits that this piece of tech can bring to you. Keep reading if you’d like to hear more about this. Kanban software comes in many forms with many different companies giving their own take on this sort of organisational structure. With Kanban software, you input tasks onto the board when they first are confirmed. From here, tasks move across the board depending on their level of completion. This means that tasks can be prioritised, and staff efficiency levels can be monitored. Make sure to learn more about Kanban software before you invest in this piece of technology to ensure that it is right for you. You can learn all you need to know by reading Kanbanize’s guide “Kanban Software: Explore the Opportunities“. 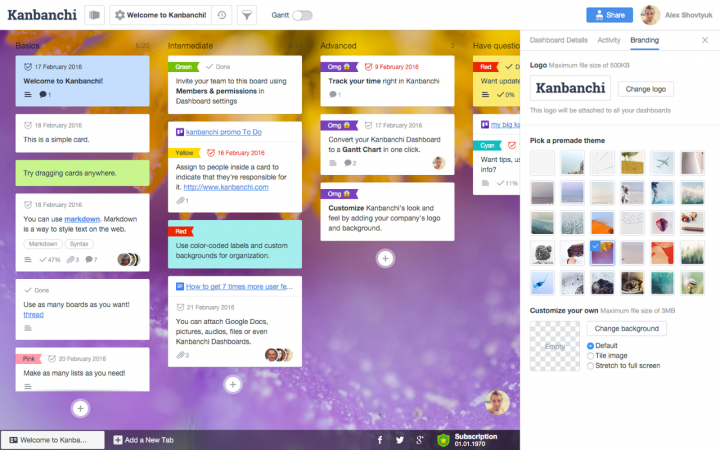 With an online Kanban board, you can create it to work for the type of project that you are completing. Every team is different and so the fact that this type of system is so easy to use makes a huge difference. When you first download the software, you can choose the type of layout that you want, and you’ll find it really easy to add new cards and move them along the board when you need to. This type of technology is a lot easier to use than a physical board that will require you have to write on cards or print them out. With an online Kanban board, you can edit the cards in a matter of seconds. 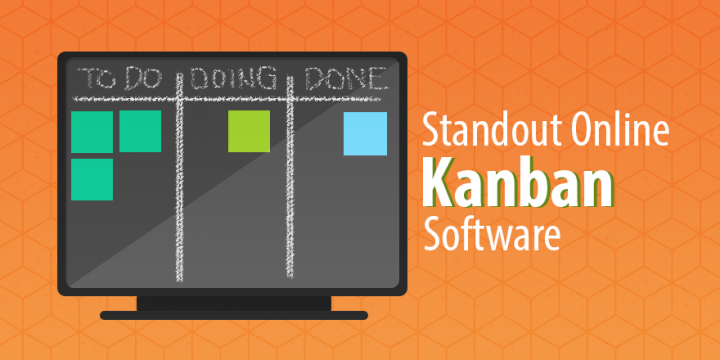 If you have a large team then you will love this benefit of using an online Kanban board. When you put the different tasks on the board, your whole team can see it and they can grab a task and get it done. You don’t need to worry about things slipping through the cracks as Kanban doesn’t allow for this. If you invest in this software, you won’t need to inform your team of what they need to do and when it needs to be done by because they’ll already know. You’ll save yourself time on having meetings and sending out emails and you’ll be able to get your work done more quickly. One of the best things about Kanban software is that it can be used by any member of the team no matter where they are. As long as they have access to the software on their computer or their mobile phone app, they can view the board online and get started. This works really well if you have remote workers or you don’t have the main office. You could also consider getting rid of your office and having your staff work from home. They’ll be able to stay connected using the Kanban board online and you can still get your work done effectively. If your team struggle with getting things done on time, you’ll find that having an online Kanban board can totally change the way they work. The system works well to improve efficiency and you’ll be able to identify the weak points in the company. Perhaps someone is not getting as much work done as you’d like, maybe you could use this information to try them on another task or analyse what they did well. Making use of a Kanban board can really help you to understand how your team works and you’ll be able to get your projects done on time. When it comes to Kanban software, you don’t even need to fork out a lot of money to get help with your business. This piece of tech is reasonably priced and if you find a good one, you might even get a free trial to see if you could really benefit from this type of software. Don’t be afraid to have a look around at what is available online in order to really improve how your businesses flow. 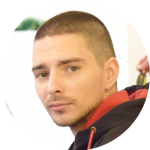 If you are thinking about investing in Kanban software, then you’ll find that it is actually a really good idea. There are a lot of benefits and you will see your business start to shine as you improve the way in which your team works. The systems are easy to use, and you’ll get to grips with them reasonably fast so make sure to try it now. Brand mentions have become more important than ever. They have become an important part of SEO, and have a huge impact on search ranking. So it’s safe to say that brand mentions are redefining the way Google measures brand authority. With everything going digital, even the style of marketing has changed and is very different from traditional marketing. When people mention your brand in the digital space, it becomes word-of-mouth marketing. The mentioning of your brand by people basically involves them giving a shout out to your brand on digital platforms. This can be done in various forms like mentioning your brand in their social media posts, writing a review, or publishing a blog post. 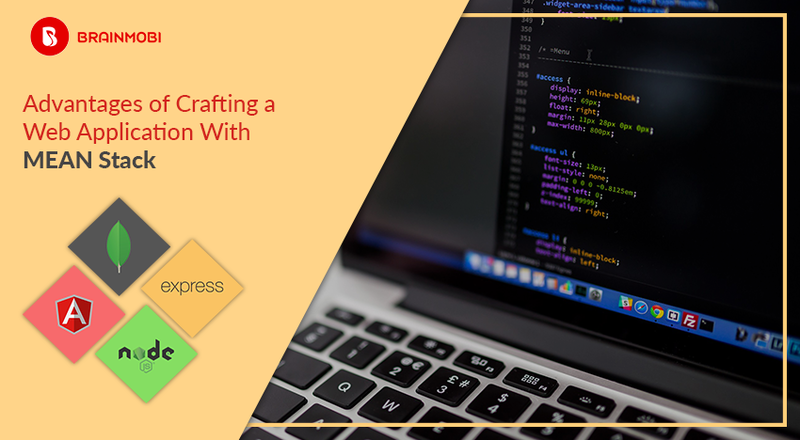 Some may be provoked by a milestone in your company, some by a case study of yours, or by an awesome thing that you’ve done such as redesigning your website theme and setting some trends along. Why do you need to keep a track of these mentions? By doing so, you can get a better idea of what people think of your brand and how they perceive it. Keeping track of your brand mentions will also give you a better idea of how you can optimize your backlink profile. 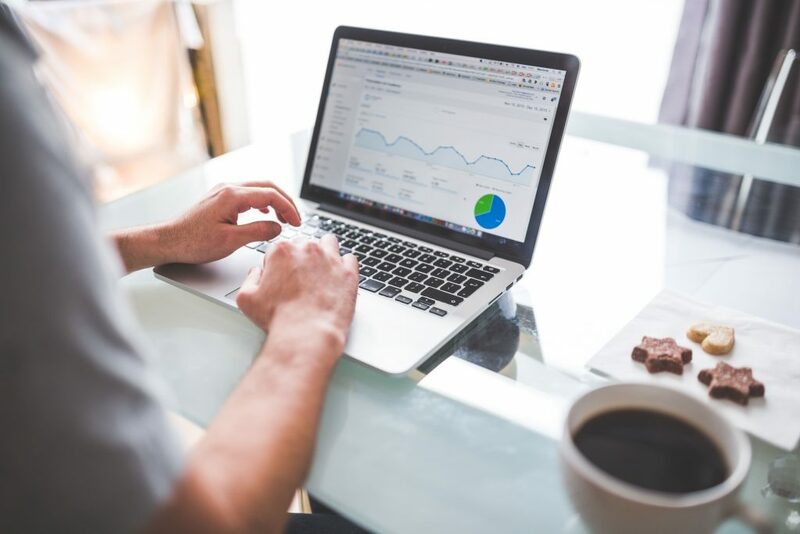 Let’s take a look at some of the best ways to improve your SEO rankings by leveraging brand mentions. 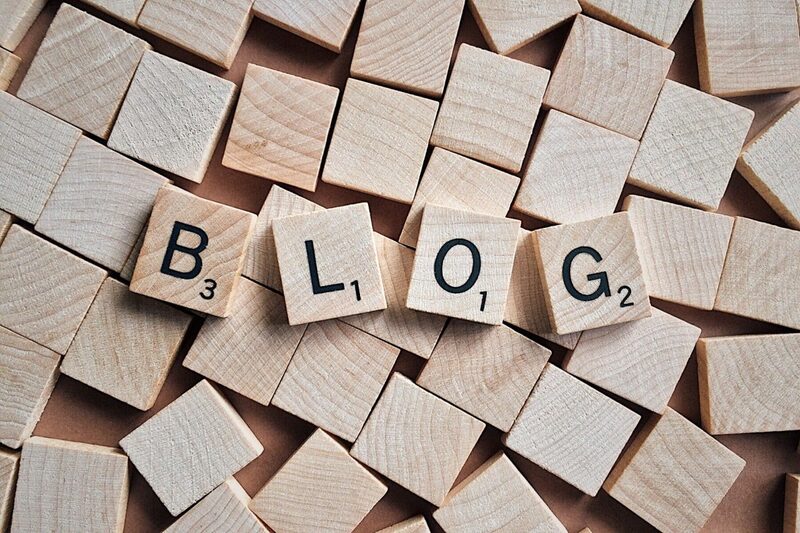 Guest blogging is one of the most successful and effective ways to build your brand. Guest blogging is also the best option for brand mentions. And it’s a cost-effective way to promote your brand. The process of writing a guest blog post is quite simple and easy. You just need to get in touch with a website from your industry and ask them to publish your post. But remember to search for a website that has high domain authority. There are many advantages of guest blogging which includes an increase in SEO, brand reputation, and traffic. Make sure you publish your content on a high domain authority website. As this will have a direct impact on the search engine rankings of your site. This also affects the visibility of your brand and can help you find relevant audiences to showcase your expertise to. Guest posts also help you build the reputation of your brand. And it’s a very well-known fact that having a good reputation can bring long-term benefits. Guest blogging is also an inexpensive way to increase the traffic for your website. 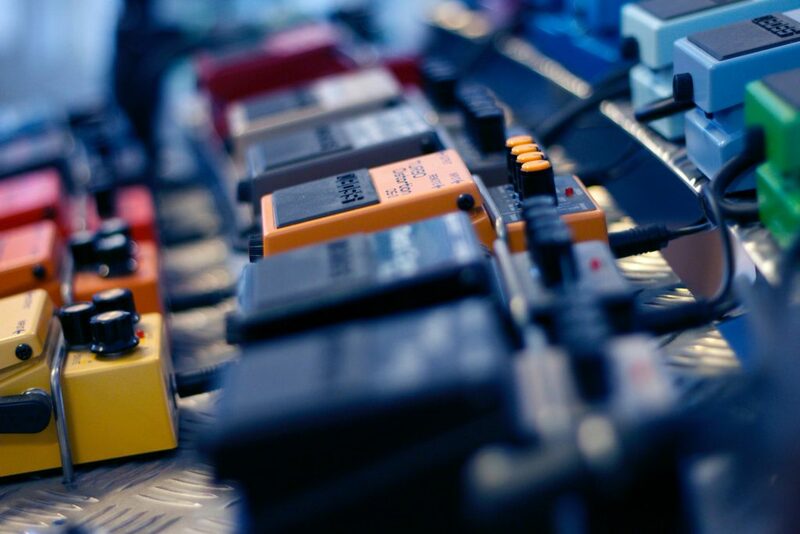 The case study of Groove is the best example of the power of guest blogging. The groove is a team of a handful of software experts with the goal of guiding small businesses with their clutter-free and easy to use the software. They posted a guest post and successfully managed to reach more than 1 million people. Website owners used to buy links to improve their SEO unnaturally. That’s why Google took strict action against this practice and introduced quality content as a ranking factor. Google created a new algorithm which ranks websites based on their content quality. So you need to create content for your website which is unique, useful, and relevant to your niche. When you create content like this, Google will automatically find your content, thanks to the new algorithm, and likely improve your rankings. When your content ranks better, it helps people find it faster and encourages them to talk about it and share it on their social platforms. This is how your brand can reach new heights. But make sure to create content on trending yet relevant topics. But how can you figure out what is relevant and trending? 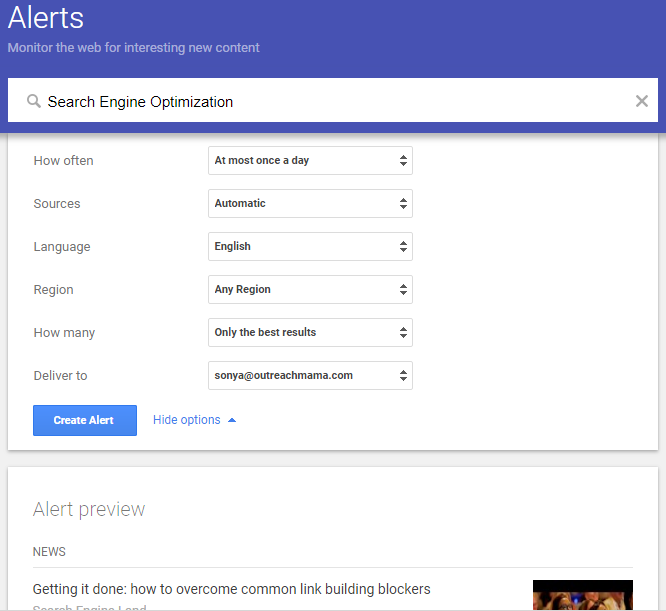 You can use tools like Google Alerts. This tool will help you find out trending and relevant topics from your niche. You can create alerts for trending topics from your niche. This actually cuts down the extra effort to research trending topics. It also allows you to opt for a content update strategy. This feature will provide you with a list of your old posts which you can update later on. When you provide excellent customer service, it’s obvious that people will start talking about it. And they might even recommend your brand to their family and friends. There is also good chance that people will talk about your brand on their personal blogs, vlogs, or on social media. That can help you attract more potential customers to your website, resulting in an increase in your website traffic and conversion rate. But how will you stand out from other players and provide great customer service? Here is a quick tip – never forget to acknowledge and thank customers who are writing positive reviews about your brand. Also, never ignore the customers who are not happy and have given negative feedback. Always go back to the customer and discuss the problem with them. Then address the issue as soon as possible. And keep updating the customer about the progress in solving the issue via email or messages. 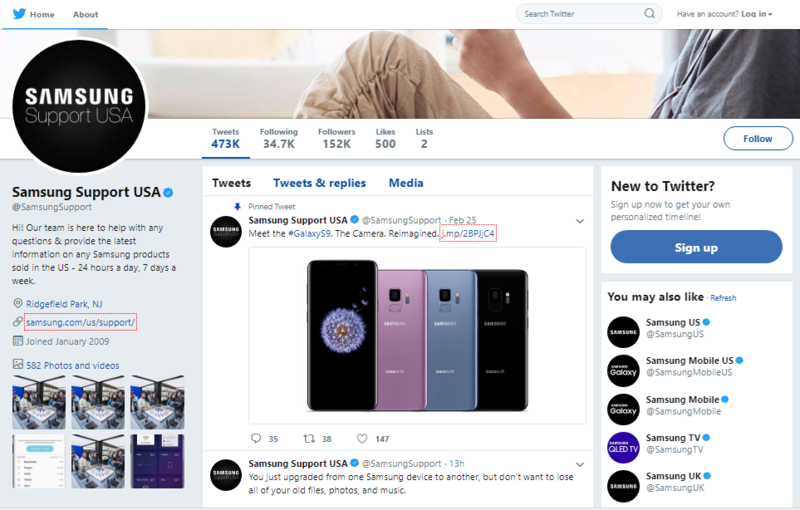 A perfect example is Samsung’s support page on Twitter, which is dedicated to providing great customer service. Support is available around the clock, seven days a week. It’s important to track your online brand mentions as they can help you with reputation management opportunities and finding honest feedback. Tracking brand mentions also helps you gain a better understanding of how people are interacting with your brand. 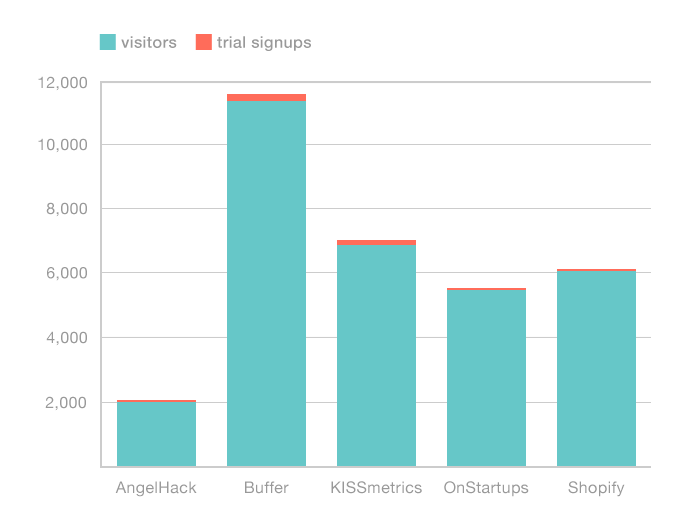 By tracking brand mentions, you can get an idea of the satisfaction level of your customers. You can also monitor your online reputation and take the necessary steps to improve your reputation. Tracking brand mentions can also help you to develop metrics to measure and evaluate the popularity of your brand. There is no doubt about the fact that brand mentions are very important to the business. But it’s a very time-consuming task. There are tools that can help you track your brand mentions in a much more efficient and effective way. Tools like Google Alerts are very popular and are widely used for keeping track of brand mentions. As you grow your brand, you will get more brand mentions on social media platforms. Now you cannot be everywhere at the same time, so this tool gives you regular updates on the brand mentions you are getting. Now you know the advantages of tracking brand mentions. 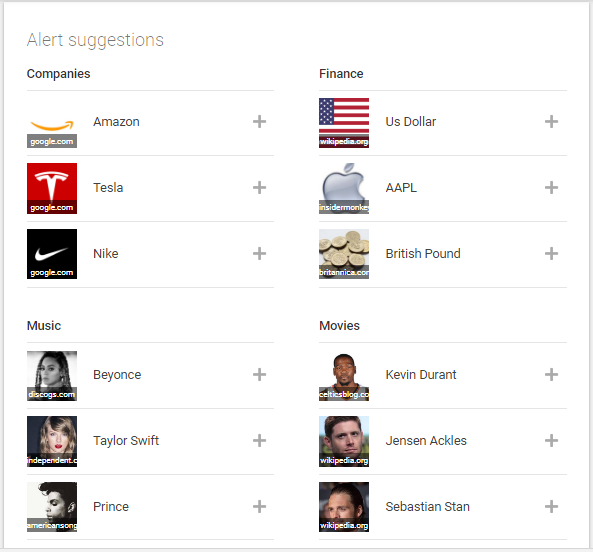 So go ahead and create an account in Google Alerts and it will automatically send you an alert for any mention of your brand. It’s not possible to improve your search rankings overnight. In fact, SEO is a long-term strategy. If you want to stand out from your competition, it’s always better to stay one step ahead. And tracking brand mentions is one of the best tactics to not only improve your SEO efforts but also monitor your brand’s reputation. There are tools that can help you track and monitor your website’s search engine rankings. You can use tools like Keyword Tracker or PRT to quickly and easily track your rankings. You can also use these tools to monitor your progress or changes in your rankings. Do you know of any more ways to improve search rankings using brand mentions? Please feel free to let us know in the comments section below. Internet of Things (IoT) is a transformative trend making big splashes. With the booming ecosystem of 20 billion connected devices announcing its triumph and widespread adoption on the roll in major industries, it needs no introduction. The only question is what facet of it will manifest the most, and reshape modern products, workflows, and processes. Well, this year will not be the time of IoT revolution as much as it will be the year of infrastructure consolidation, increased investment, and steady growth. The driving force behind these developments comes in the form of following prominent trends. On the broadest level, we see that the whole IoT sector is primed for dynamic growth. More and more devices are coming online with each passing day. By 2030, we could reach a threshold of 30 billion connected pieces. 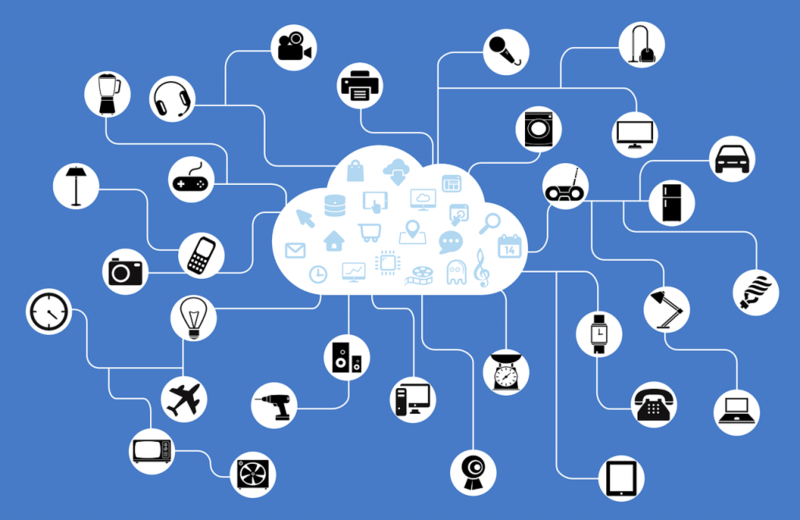 The consumer segment will have the largest share of IoT installed base. Moreover, a lion’s share of the market will be dominated by businesses offering wearable devices, industrial equipment, smart/automated home tech, and high-tech cars. 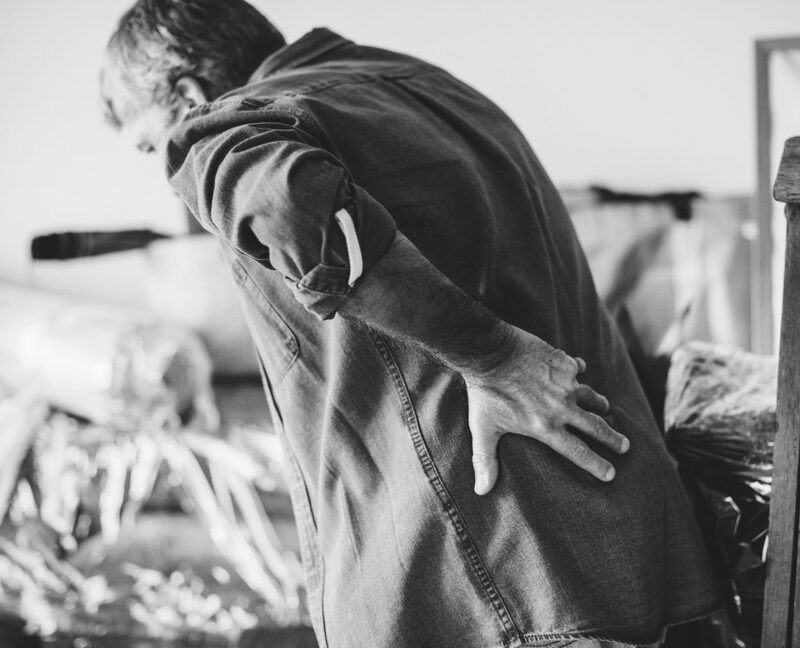 Retail, supply, and healthcare sector are not lagging behind. In fact, they are expected to undergo a phase of rapid growth as well. On the flipside, this proliferation breeds the so-called “fragmentation frustration”. Namely, growth in the area of as-a-service (aaS) and cloud solutions has shown that fragmentation poses a tough challenge for companies. Adoption is not really frictionless and it demands a considerable investment of resources. There are also many compatibility issues because we will have to wait a bit more for device standardization and certification to really kick in. Those who struggle will likely have to rely on leading Internet of Things agencies for everything from strategizing to custom tool implementation. Traditionally, IoT and Operational Technology (OT) were separate domains. Nowadays, however, the gap is becoming narrower. 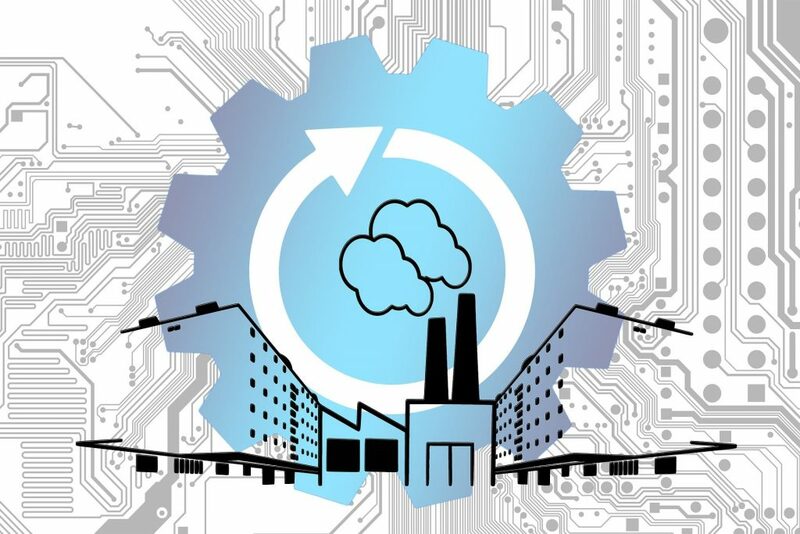 Many companies are realizing the advantage of IoT and OT teams working hand in hand towards more efficient deployment of new solutions and initiatives. What is more, OT will have a profound impact on the design of IoT apps in 2018. They will be more friendly and accessible to end users, such as field workers and plant operators. The advantage is clear: operational decisions can be reached in real-time, by those who are closest to the workflow. Data breaches galore raise many eyebrows and for good reasons too. Undermined cybersecurity is yet another byproduct of soaring IoT growth. As they become more complex, networks also include more loopholes that have to be addressed. And this is no task for amateurs. Attack surface is bigger than ever, cyber threats are becoming more sophisticated, and the environment is largely unregulated. It is up to users to come up with tools and measures for preserving privacy and data safety. Note also that most attacks will be motivated by financial gains and seek to exploit IoT vulnerabilities. The shift towards a mobile-first internet world is old news already, but are we heading towards the mobile-only frontier? This kind of prediction might be premature, but there are signs that mobile platforms are being increasingly used as management systems for IoT devices. Both early adopters and late-comers are transitioning and the booming mobile market will only fuel this tendency. On the other hand, IoT is likely to change the way mobile apps are made. These products will work via new modes of connectivity and lean towards the native and hybrid end of the market. Staying on top of the immense influx of data across channels is a daunting task, which lies beyond the capacity of human workers. Companies will have to step up the game and use more refined and cheaper methods of processing big data. In this day and age, trends like edge networking and hardened legacy frameworks are a necessity more than anything else because they lead to less network demand and operating costs. And to really harness value from vast data pools, businesses will seek to employ advanced (AI) analytics and machine learning tools capable of real-time data streaming. Despite noticeable growing pains and a handful of hurdles, 2018 paves a promising trajectory for gains in connectivity. From there, we can see IoT only going up and up. It is slowly becoming the backbone of consumer value and mainstay of the business growth across industry sectors. Yet, the full potential of this technology is still being realized. We will need even more powerful analytics, machine learning, and AI systems to support rapidly expanding IoT space. One thing is for certain, though. We are witnessing the emergence of large inroads that will carry this cutting-edge technology to grow and evolve beyond imagination. If you’re just getting started with cryptocurrencies you’ll probably agree that wallets can be a bit of a pain. There is often a relatively big learning curve that comes with effectively trading, sending & receiving and actually using crypto – all of which need a wallet to do so. In this post, I’ll quickly dive into some of the key elements of a crypto wallet which will help beginners get started. Hopefully, in the future, and with new technologies being developed, wallets and storing of crypto funds will become very simple. We definitely need crypto to be at the lowest barrier to entry as possible in order to spur mass adoption. However, for now, you should sit back, take a few notes and get ready to learn a few things. In its very basic form, a wallet represents a cryptocurrency investor’s bank account. It’s program that stores private and public keys and helps the user interact with blockchain technology in order to use cryptocurrency. Your cryptocurrency isn’t really stored on your wallet but instead lives on the blockchain. Your wallet gives you access to it. Desktop wallets: A popular desktop wallet example is Exodus which is able to host a range of ERC20 (Ethereum blockchain) tokens and many of the biggest names such as Bitcoin, Litecoin, EOS etc. Mobile wallets: Mobile wallets come in the shape of a mobile application. Using a mobile wallet means that your crypto is always with you, but it’s a little less user-friendly compared to desktop wallets. If you’d like to install a mobile wallet, give Eidoo a try. 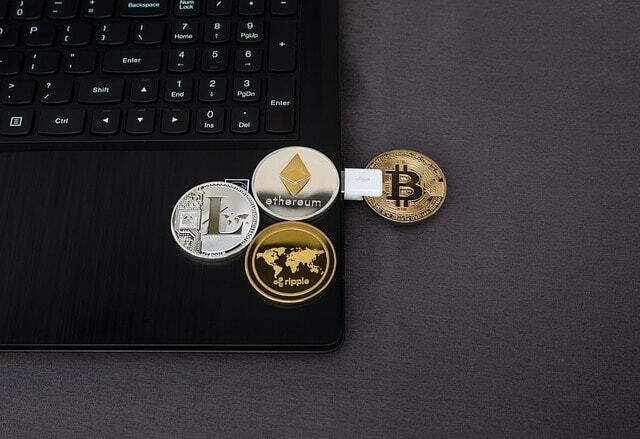 Online wallets: When you register on a cryptocurrency exchange, that exchange creates a wallet for each of the tokens that you trade. It is possible to store all your crypto on online or exchange wallets, but it always comes with some risk as hackers love going after crypto exchanges. Some of the biggest crypto hacks include the $460 million Mt Gox hack of 2014. Wallet security can a very technical and complicated process. However, there are some basic principals you can follow to keep your crypto safe. 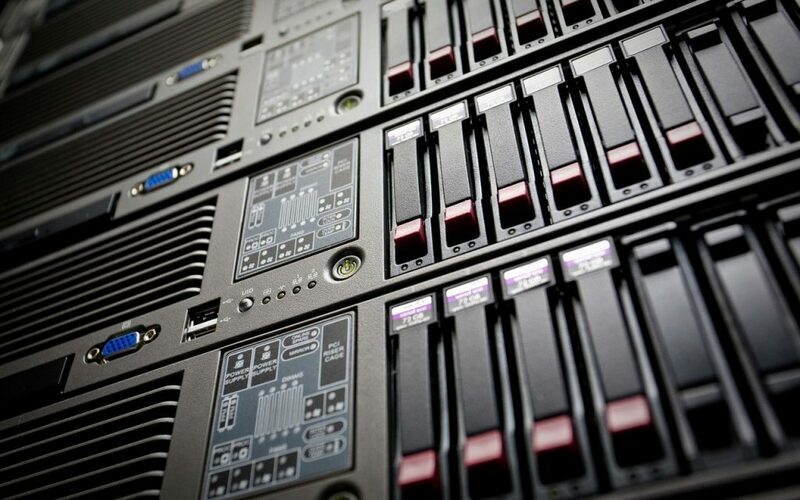 Make backups of your private keys on multiple storage devices. Some people even print copies and store them in safety deposit boxes. Never share your private keys with anyone. Watch out for scam or phishing sites that try to steal your information. This is especially important with regards to online or exchange wallets. Always make sure you are on the site you need to be and not a fake copy of it. When it comes to paying for something with cryptocurrency you own, it requires some concentration and a little know-how. Let’s say you want to invest in an ICO and the ICO only accepts Bitcoin as payment for their tokens. In order to purchase their tokens, you’ll need to own Bitcoin. Next, you’ll want to access your wallet whether it’s desktop, mobile or based online. You’ll need to navigate towards your Bitcoin wallet and send the appropriate investment amount to the ICO’s Bitcoin wallet address. It needs to be from a Bitcoin address to a Bitcoin address otherwise it won’t work. Follow the same principle for any other cryptocurrency you use. Never try to type a crypto address, always copy and paste it to avoid making mistakes. I want to participate in an airdrop, what type of wallet should I use? It’s best to follow instructions given to each specific airdrop. However, as most ICO projects and airdrops, as discussed on The Crypto Coin Authority Blog, are based on the Ethereum blockchain, you’ll need an ERC20 supported wallet. For this, you can either use Eidoo as mentioned above or MetaMask which is a popular browser-based wallet. Which wallet should I get started with? Blockchain technology has raised serious interest among investors, with many publicly traded stocks seeing a price per share growth just as a result of adding “blockchain” to their names. This has led to a surge in volume for cryptocurrency penny stocks that trade as regulated securities. Cryptocurrency wallets are not necessary for trading those public stocks because that industry is more highly regulated with protections for investors. 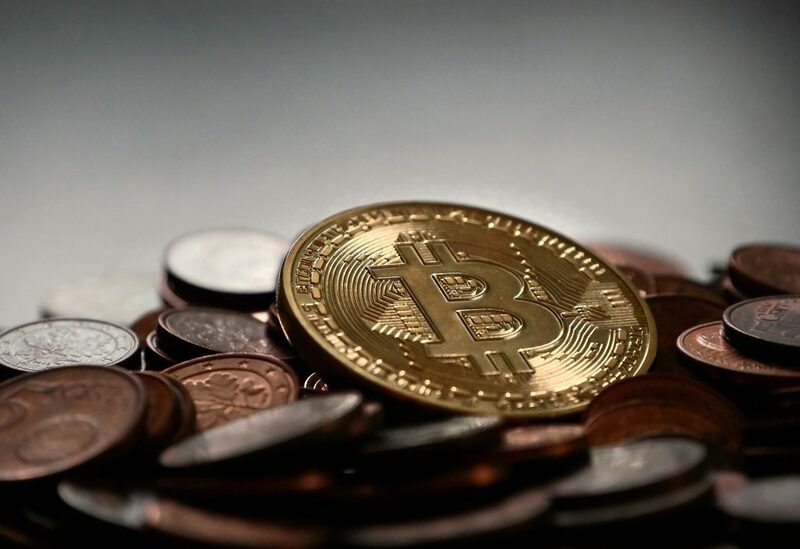 It is, however, highly suggested that you protect your assets with a cryptocurrency wallet if you are investing in cryptocurrencies themselves, due to the heightened risks involved. It all depends on what cryptocurrencies you plan on investing in. If you plan on getting some of the big names like Bitcoin or Ethereum then a simple mobile or desktop wallet as previously mentioned will work fine. You’ll need an exchange wallet to trade, but that gets set up when you register for the exchange. Some cryptocurrency has their own wallet that you’ll need to set up in order to own those tokens. The same principals apply as with most desktop and mobile wallets. 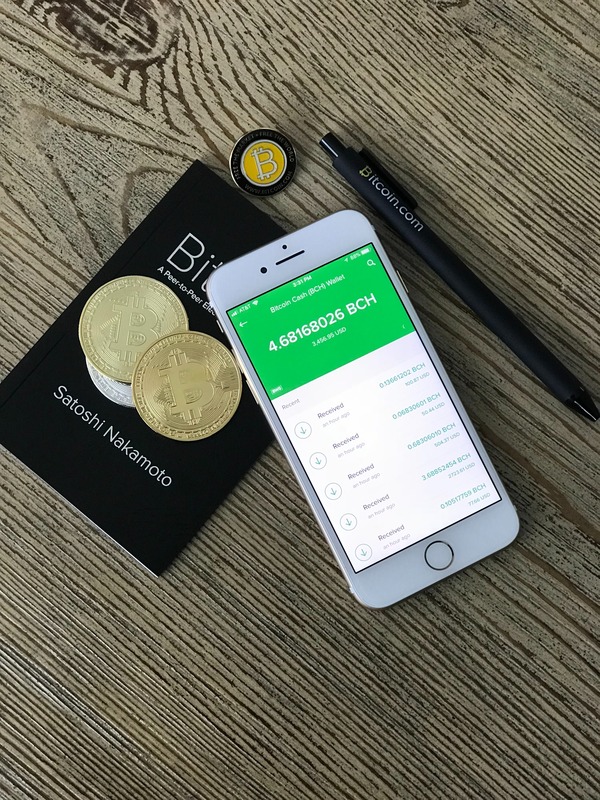 There you have it, very simple and basic advice on cryptocurrency wallets – perfect for a beginner getting started with their first piece of the cryptocurrency market! Keep in mind that this guide is very basic and there is much more to learn. However, that’s the beauty of cryptocurrency, there is always something new to learn. Now it’s your turn to go out and start a journey of a lifetime!